PUNE: The implementation of Goods and Service Tax (GST) will continue to haunt to the economy and cripple the small and medium enterprises (SME) feels Arvind Datar, senior advocate of the Madras high court. Addressing a public meeting on GST, taxation laws, ease of doing business and the state of the economy, Datar said there was a consistent attempt to silence any criticism on the GST. "I have been opposing the GST from the beginning. I was called to speak at a seminar on GST in Mumbai. The organizers had asked me give them the synopsis of my talk a day before the event. When I said I am going to speak about how GST is not suitable for India, they forbade me to go. 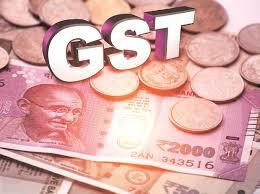 There was an agenda to push GST," the corporate and tax lawyer added. He said, "What we have now is 'some kind of a hybrid tax structure'." "If you look at the GST structure, the taxation on petrol and alcohol is retained by the state. So 70% of the revenue is not touched in any case," he said. He added this is the first time that there is overlapping of taxes between the centre and the state. Datar also said there are bound to be errors in a complicated exercise like matching of invoices. "Nobody in the world matches invoices. I had advised first start matching invoices for companies above Rs 500 crore. They have the bandwidth and the manpower, if at all you want to do it," he said, adding, "The bottom 90% of the units that pay 10% of taxes could have been taxed a flat 10%. It could have avoided a lot of confusion." He further said the eway bill is a shocker as the law provides for a limited time for the bill's validity and on lapsing of the bill, it needs to be generated afresh. "I don't know who makes these laws. My friend is now moving the Hyderabad high court (regarding this) on Monday," the lawyer added. He said, "The GST has imposed avoidable costs on the export sector and by not issuing refunds yet, this has become the worst time for the export sector."